The address of the current location 'Arad - Airport': Hotel Delivery, Romania. Search for deals. Rental companies in 'Arad - Airport' frequently provide great offers. You can monitor the search results for best deals in Arad for several days. Another way to reduce a rental price is to book a car few months in advance. Finally, car offers with day-time pick-up and drop-off are much cheaper than night rentals. Reservation. While completing the booking form, verify the correctness of your personal data, to avoid confusions at the rental desk in 'Arad - Airport'. At the same time, pay attention to the rental conditions. Each vehicle in Romania is provided with its own rental conditions, available by the link below the car photo. Pick up. Be in time for the car pick-up. If you are too late, without notifying the office in 'Arad - Airport', an officer may release your vehicle to another client. In case of a delay, we recommend making a call to the desk in Arad a few hours before the pick-up time. The number of the desk is given in your voucher. Rental location. Recently, rental parking areas in Romania have been moved away from airport terminals. For such situations, rental offices in 'Arad - Airport' are obliged to provide a shuttle bus from the terminal to the rental area. Payment. Rental payments in 'Arad - Airport' are made exclusively by credit cards. Cash, debit cards and Internet cards are not accepted. Prior to pick-up in Arad, make sure that your credit card account has sufficient funds for an insurance deposit. 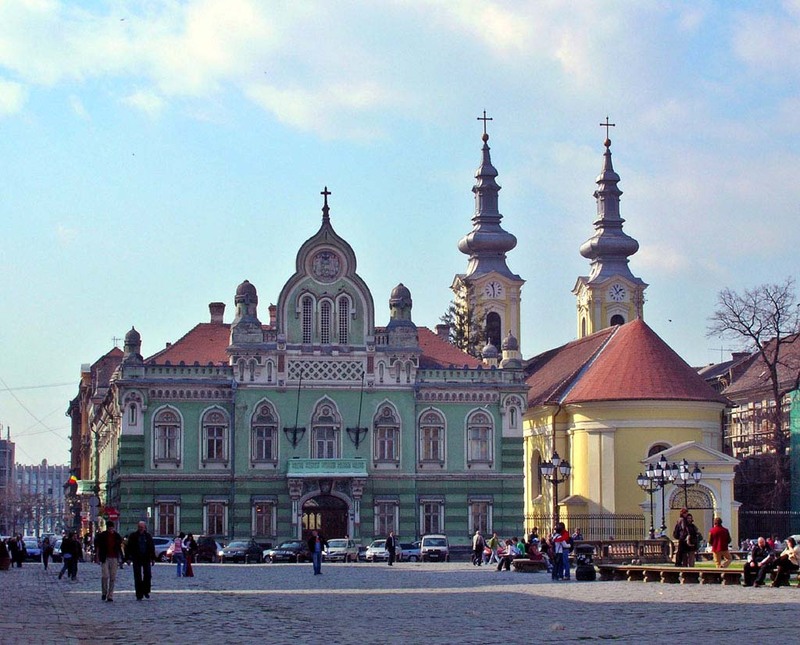 We wish you great holidays in Romania and fantastic discoveries in Arad! 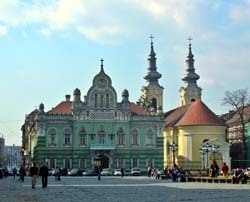 OrangeSmile.com in cooperation with CarTrawler offers a 'hire-it-yourself' car rental service for most of the locations in Romania. Simply select your desired vehicle type and rental period in the left orange form, and we will find and provide you the all available offers in Arad at best prices. Instant confirmation, absence of any service charges and fees, as well as a quick customer support are the additional advantages of our service. Timisoara is ready to offer its guests a wide range of dining places; a number of popular restaurants and cafes deserve attention of gourmets. In a beautiful building with a cream facade there is an international restaurant Belvedere. It is considered one of the best in the city; chicken curry, tender soup with parmesan cheese and roast pork with truffles are among specialties of the restaurant. Despite the fact that Belvedere’ menu includes a number of delicacies and chef’s masterpieces, restaurant prices are very affordable. The Pizza La Maria restaurant invites visitors to try the best pizza in the city. Every week new original treats appear in the menu, so each trip to Pizza La Maria can be a special one. In addition to the excellent pizza, the restaurant serves delicious desserts and homemade tiramisu particularly popular among guests. The Casa Bunicii restaurant specializes in preparing classic dishes of Romanian cuisine. A great selection of entrees, exciting meat treats with a side of roasted potatoes and branded bakery attracts hundreds of guests to this restaurant. Casa Bunicii is an excellent choice for families with children; it is also very popular among beer fans.